400 years ago the City of Dordrecht was the centre of Europe. More than 100 theologists, professors and politicians gathered for the Dordtse Synode, an international theological conference which was of major influence on Dutch history, language, culture and common values. The importance of this conference is celebrated this year with many cultural events relating to the synode in a festival Ode aan de Synode in three themes: language, identity and hospitality. 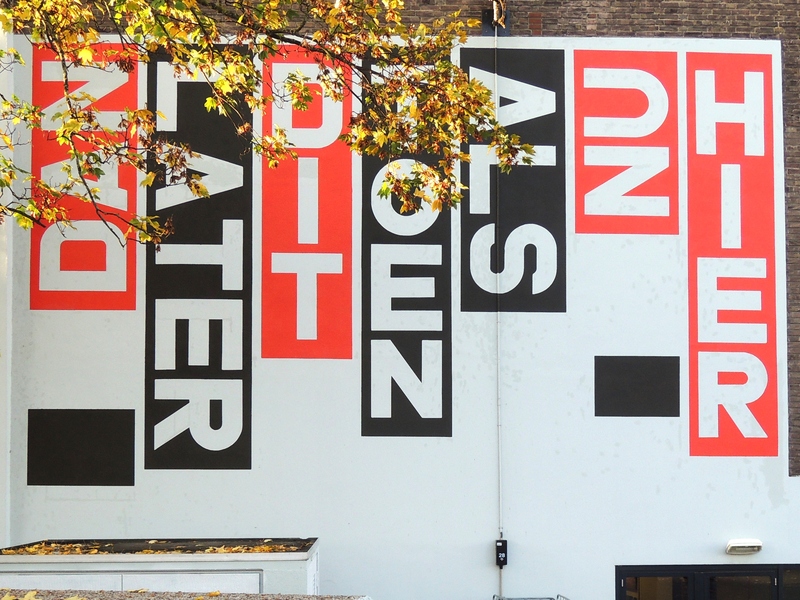 Ton Kraayeveld’s mural ‘Wallpainting Synode’ was developed as a work in commission relating to the synode conference 400 years ago. 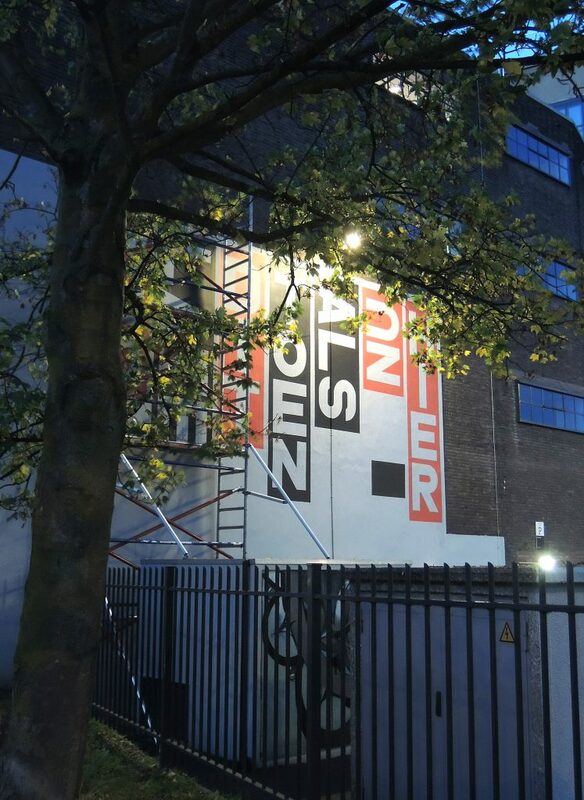 The mural is situated on the façade of the ‘Energiehuis’, the city’s major cultural centre which is home for various theatre stages and cultural institutions. 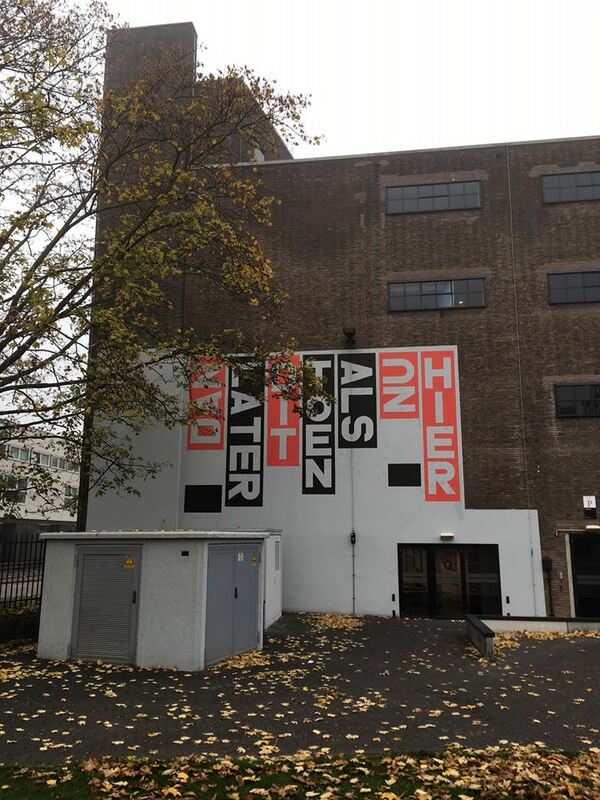 In it’s words (in English here – now – as – then – so – later – this) the work relates to the actual moment of being present in time and place in relation to possible moments in past and future, as well as that it points to performances and events acually taking place inside of the building. In it’s deliberate choice for Dutch language the work also refers to the first translation of the bible in Dutch language which was a major achievement of the Dordtse Synode back in 1618.